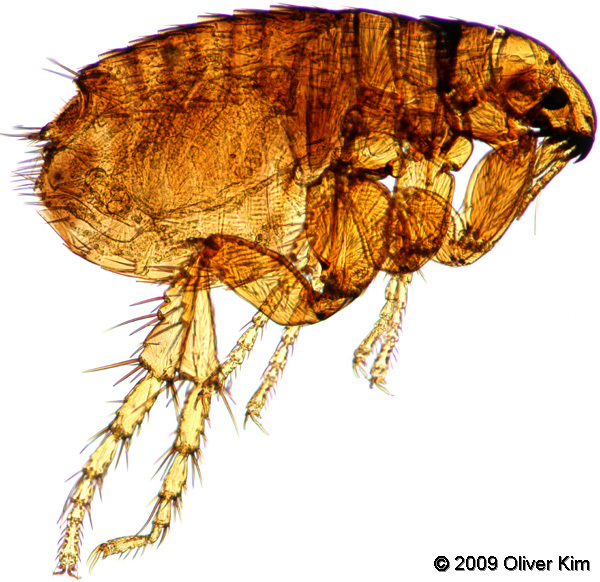 The Dog Flea (Ctenocephalides canis) is an external parasite which can be found in the fur of both dogs and cats. The presented image is composed of several different overlapping images stitched together. Stacking to increase the depth of field was not performed. The adult female flea reaches a size between 2 and 4mm. Males are a little smaller, 2-3mm. They are wingless insects with a flattened body. Their chitin exoskeleton is resistant to pressure. Both sexes feed on the host’s blood. 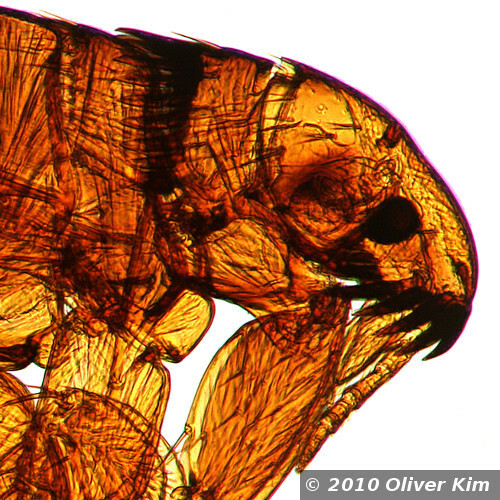 The fleas produce eggs out of which the larvae hatch. The larvae are between 1-6mm long (depending on the stage of the life cycle), and do not possess legs.